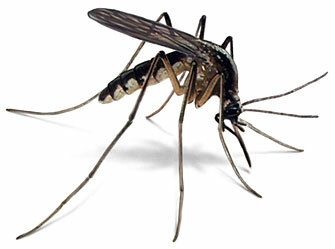 What if we could eradicate malaria by engineering a mosquito population that doesn’t transmit the disease? What if we could control invasive species that outcompete natural populations? What if we could get rid of insecticide-resistant pests not by developing new chemical treatments, but instead by changing the population itself and driving it toward extinction? Although scientists have long-imagined the potential of biological interventions to solve challenges like these, the ability of the CRISPR/Cas9 system to precisely edit genetic material, coupled with gene drive systems, offers a hope of success that’s within reach. But this potential gain also carries potential risks. Much of the increasing attention to gene drive, including recent news coverage, has raised questions about whether these constructs can have their desired effect without simultaneously causing ecological harm. A new report from Unckless et al. in the October issue of GENETICS builds on recent experimental work being carried out in the field by using mathematical models to estimate how quickly such gene replacement can spread through a population. Modeling several scenarios using a Wright-Fisher model as their foundation, Unckless et al. demonstrate that adding modified genes through the mutagenic chain reaction (MCR) can have dramatic effects, with these genes fixing in populations after only a few generations, much more quickly that they would as a result of natural selection. Moreover, gene drive allows the potential of a particular allele to spread through a population, even if there is selection operating against it. The efficiency of these methods allow effects of this biological control strategy to appear very quickly, which may prove extraordinarily effective. That very speed and efficiency, which on one hand would be beneficial, also brings some level of risk for unintended consequences that are difficult if not impossible to control. “We need to consider the population dynamics of gene drive in designing these types of strategies,” emphasizes study author Rob Unckless. “The outcome will vary considerably based on the strength of drive, fitness consequences, and dominance, and other factors. This means that we can’t expect to insert any old mutation into any old site in the genome and expect that within tens of generations, the population will be fixed for that mutation.” But this result may be possible in some instances. “We need to try these techniques in very limited scales – first cages then enclosures – to assess how it spreads,” said Unckless. Unckless also suggests that modeling should be done with multiple constructs, including beneficial mutations, deleterious mutations, different conversion efficiencies, and rates of non-homologous end joining, among others. In their paper, Unckless and colleagues explain how the math meets the applied: this modeling of MCR population dynamics can both put bounds on the frequency trajectories expected from the release of an MCR, but it may also identify possible choke points for controlling and preventing the expansion of an escaped or mutated MCR allele in a natural population. Although Unckless suggests there’s more work to be done to assess the potential and peril of gene drives, early indications suggest the possibility of dramatic effect.